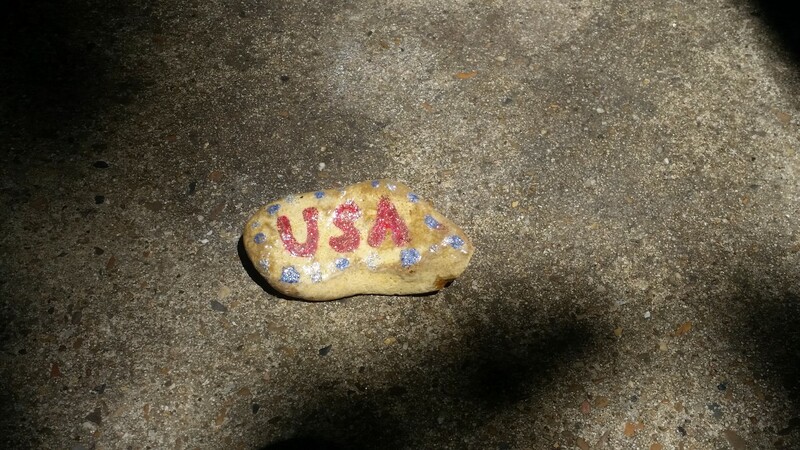 Tuesday, July 4, 2017 – Happy Independence Day everyone from the Chauvins in Arkansas! We thoroughly enjoyed the beauty of Gulpha Gorge Campground in Hot Springs National Park while we stayed there for five days. 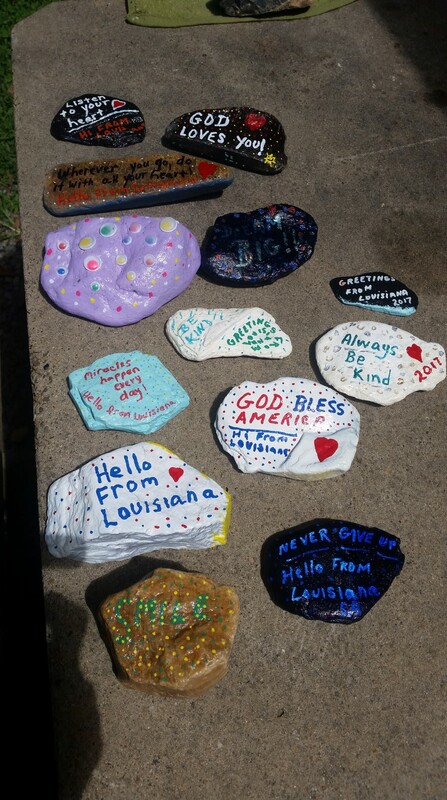 I found several nice rocks to paint and left them around the campground before we left. 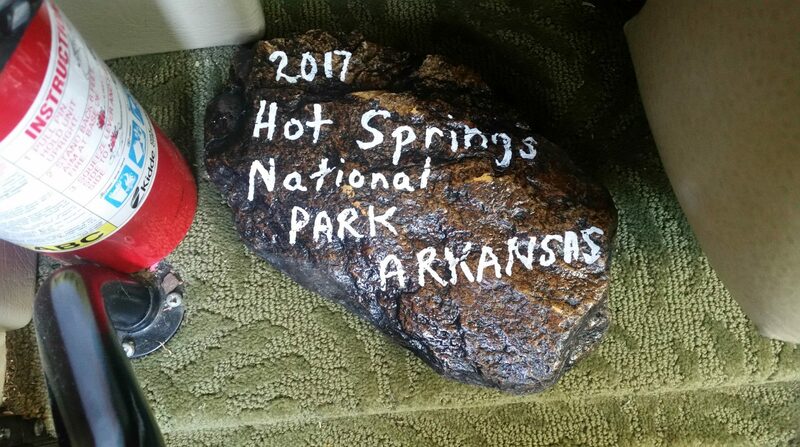 I wrote Hot Springs National Park, Arkansas on two nice size rocks that will head back home with us to Amite! 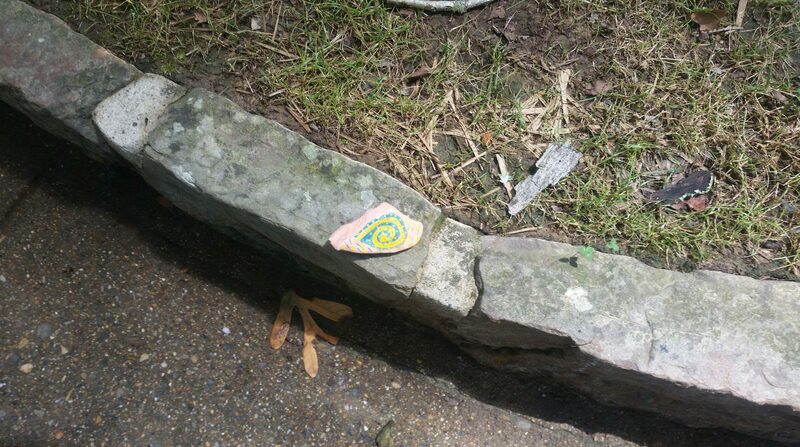 We left Hot Springse on Sunday morning fairly early. At 10:30 we pulled into the Greenbriar, Arkansas Walmart so we could watch our church’s Live Stream Worship Service. Bro. Bob Adams, our interim pastor was preaching again to further prepare us for our new pastor who will start on July 9th, next Sunday! 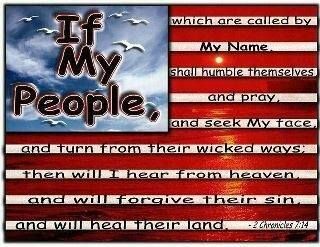 As always it was a wonderful experience though I’m sure the Walmart customers wondered why the lady in the RV was singing hymns fairly loudly! We bought a watermelon while there and got back on the road headed for Shirley, Arkansas where we will stay at Golden Pond RV Park for two weeks. Before leaving Hot Springs, Roy looked into remote control flying opportunities around Shirley. He found something right down the road! He spoke to someone associated with the air field and got the okay to fly there! 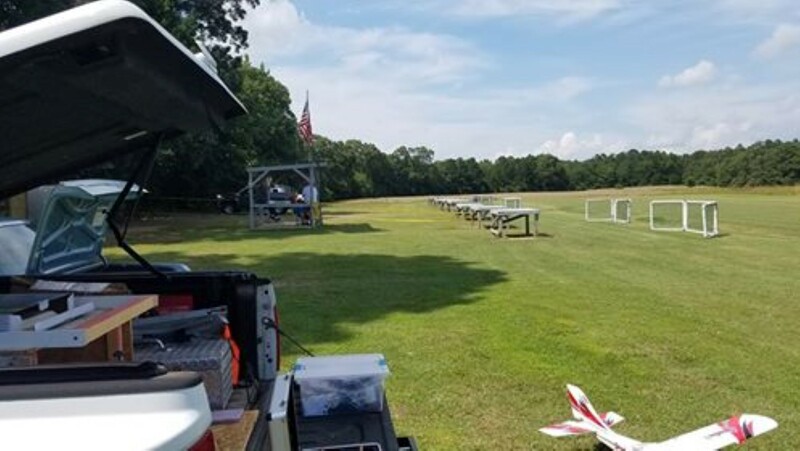 As soon as we arrived at Golden Pond RV Park and got settled, he went over to the Lake Area Fun Flyers Squadron. 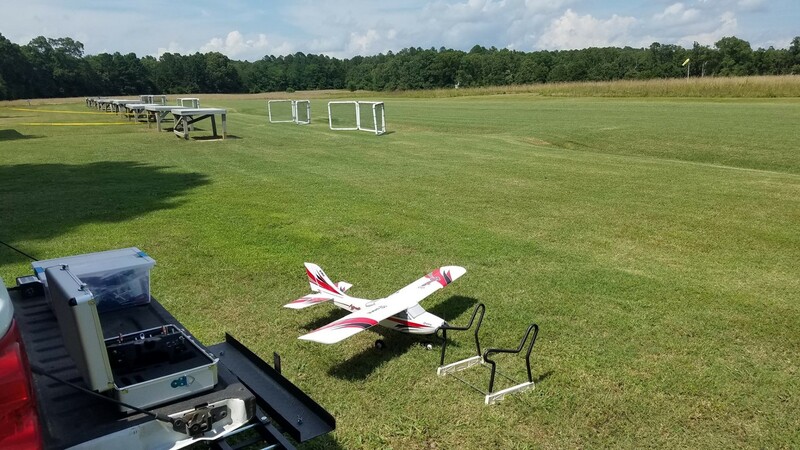 https://www.facebook.com/laffsrc/ They have a beautiful field with an 800 ft long runway. He hopes to get plenty of flying time in while he’s here. 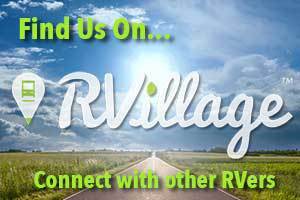 A young couple own Golden Pond RV Park and are working hard at making improvements. There is a nice adults only hot tub, a pond to fish in, an above ground new swimming pool, pretty trees and lots of sun! 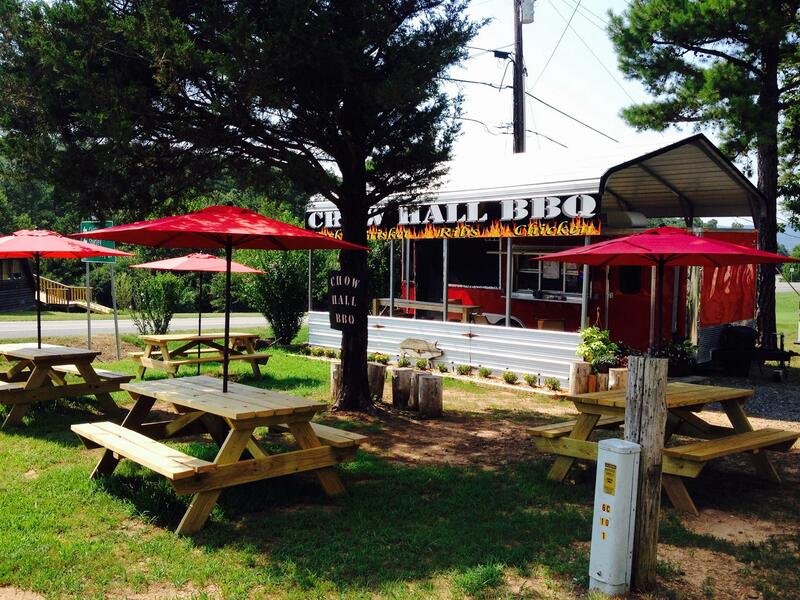 One of the neatest attractions is the Chow Hall BBQ which is just about 50 feet from our RV. The BBQ place will open on Wednesday and I’m pretty sure we’ll be eating there while we’re here. Shirley, AR is about 30 minutes from Mountain View, AR. 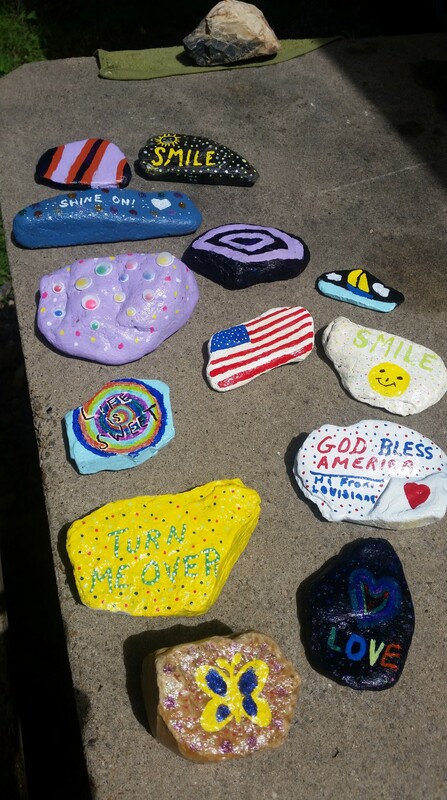 If you’ve been reading our blog for a few years you know that we absolutely love Holiday Angler’s Mountain Resort in Mountain View, AR. That resort was booked for several of the days we’ll be here, so we chose to stay at Golden Pond instead. We planned to head in to Mountain View for the 4th of July parade and music celebration but heavy rains have cancelled those plans! I hope you’re having wonderful weather and getting to have special time with your loved ones! 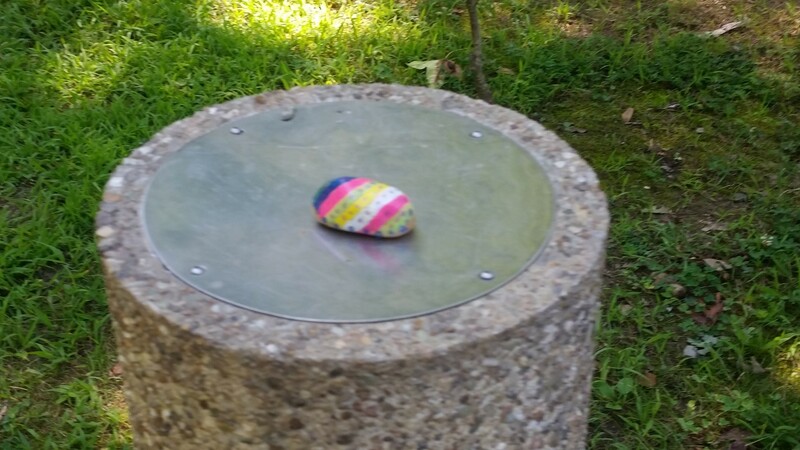 You need to stop by and see Johnny in Cherokee Park, AR … He would love that.